Bayt.com, a leading job site in the Middle East, has introduced video cover letters in order to further improve and facilitate the job search process for employers and job seekers in the region. Video covers were launched as a tool to distinguish individual applicants and add an extra visual element to their applications. “Bayt.com aims to give the opportunity to employers and job seekers to discover each other easily and connect to meaningful career opportunities. The introduction of video cover letters will not only allow job seekers to leave their personal touch on their application, they will also have a much more effective way to prove to employers their skills and potentials. Employers can opt to add the video cover letter option to their job posts. This will be the final step before activating a job vacancy post on Bayt.com. Employers can also specify a particular question that the candidates should address in a video cover letter format. An advantage for employers in using this feature is that videos can be used as screening and shortlisting tool. For jobseekers, this exclusive feature is available through Bayt.com’s mobile app and can be found on the App Store and the Play Store. Because cover letters are customized per position, the option of adding a video cover letter will appear after the job seeker selects the position and starts the application process. The job seeker will be able to record their video cover letters directly from a smartphone. 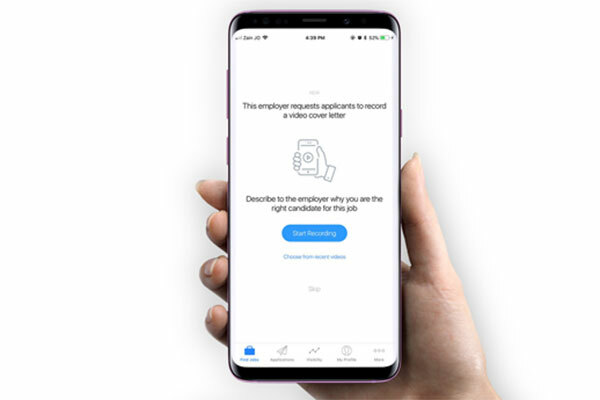 As soon as the jobseeker ends the recording, it will be stored in the applicant’s folder that is shown to the employer who receives the job application.